Application Health All products deal with core Application Health scenarios very well. Nagios loses points for less visibility when determining the health of an application. Host Instance Availability All products deal with Host Instance health scenarios. Good visibility exists when determining the health of a Host instance. The higher rank goes to BizTalk360, because of the Auto-correct feature, for which customization is needed with Nagios and SCOM. Host Throttling All products provide capabilities when it comes to determining Host Throttling, although in case of Nagios, it will be monitoring of PerfMon counters. BizTalk360 however, provides a more comprehensive experience and allows you, besides Host Throttling monitoring, to historically go back to determine exactly when and why BizTalk was throttling. Monitoring SQL Agent Jobs All applications do provide this support. BizTalk360 provides a very friendly user experience, whereas SCOM provide deeper functionality that is found in the SQL Server Management Pack. Nagios takes the lower ranking as complex customization is needed. Core Infrastructure Monitoring Nagios and SCOM provide more Core Infrastructure Monitoring, but since we are keeping this relevant to BizTalk, BizTalk360 provides enough visibility to support a BizTalk environment and earns a top score as well. BizTalk Health Monitor Integration BizTalk Health Monitor (BHM) integration is part of BizTalk360’s core offering and is very easy to setup. No integration exists between BizTalk Health Monitor and Nagios and SCOM. Custom development is required in order to provide this functionality. Log/Database Query Monitoring All products receive partial scores for these features. Currently BizTalk360 provides no capability around parsing log files. It does provide support for SQL Server databases, but not others. Nagios and SCOM both provide support for both Log and Database Monitoring. The downside is that these features often require custom scripts to be written in order to support the requirement. SCOM loses marks on the usability aspects of implementing these functions, while Nagios loses marks as a separate product will be needed for Log monitoring. Analytics Nagios has no BizTalk oriented analytics. SCOM uses a data warehouse for reporting and long-term data storage. Because of the extended reporting capabilities, though not easy to use, SCOM gets the higher grade. BizTalk360 provides a customizable Analytics Dashboard and many widgets give insight in the performance and processing of messages through BizTalk. Process Monitoring This is a core feature in BizTalk360 that detects when something is supposed to happen but does not. An example is not receiving a file from a trading partner when you expect to. Your environment can be completely healthy, but if the trading partner does not provide the file, traditional Monitoring techniques used by SCOM will not detect this. BizTalk360 will detect this scenario and send the appropriate notifications. Maintenance Mode/Negative Monitoring Nagios supports Scheduling down time, but has no Negative monitoring for BizTalk Server resources. Both SCOM and BizTalk360 provide functionality in these areas. BizTalk360 provides complete coverage whereas SCOM is only providing partial coverage. SCOM is able to handle the Maintenance Mode requirements, but not the complete Negative Monitoring requirements. While a SCOM administrator can provide an override when it comes to a Host Instance or Receive Location, if someone starts or enables that BizTalk Service no notifications are generated. Synthetic Transactions Nagios has support for Synthetic Transactions and other types of web site monitoring. SCOM does provide additional features like running Synthetic Transactions from different servers within the environment. SCOM also provides deeper interrogation of these downstream applications by using .Net Application Performance Monitoring. BizTalk360 provides good capabilities that will satisfy most requirements. Besides checking for expected HTTP return codes, it is also possible to fire custom requests and check for certain responses/response times. Integration with other popular Monitoring Platforms SCOM provides broad integration with many other Monitoring Platforms and Service Desk applications. BizTalk360 integrates with HP Operations Manager, Slack, ServiceNow, Microsoft Teams and provides a simple and elegant way of doing so. One could also develop custom Notification Channels to integrate with other Service Desk applications. Composite Dashboards All products provide this capability. BizTalk360 gets a higher grade for the simplicity of the tool. Web based User Interfaces All products provide Web based interfaces. BizTalk360 gets the top grade because administrators can perform most of their BizTalk related activities with just BizTalk360, while with Nagios/SCOM they also need access to tools like BizTalk Admin Console, SQL Server, Event Viewer, Performance Monitor, portals, etc. SCOM does not provide a holistic report out of the box. In order to get this type of reports out of SCOM, you need to custom build a report. BizTalk360 provides a scheduled Summary Report that will give subscribers an indicator that their environment is Healthy. This gives users a confirmation that everything is operating as expected within the environment. Governance Nagios and SCOM provide both user management, but the no BizTalk operations can be done from these users. BizTalk360 provides a much finer grained approach to Governance and Auditing. Knowledgebase Nagios doesn’t have a Knowledge Base, but both SCOM and BizTalk360 include the ability to build up a Company Knowledge base. SCOM also includes a Product Knowledge base provided by the BizTalk Product Group so it gets the higher score in this area. BizTalk360 provides the capability to associate KB articles to certain events, like error codes of suspended instances etc. and therefore also deserves the highest rank. It’s a bit longer this time! Exactly two months after the previous Azure Logic Apps Monthly Update from #MSIgnite, the Logic Apps team were back for their webcast on November 29, 2017. As always, the expectations were high to look into the updates that are coming into the Logic Apps portal. There was no Jeff Hollan in this session, so it was up to Jeff Hollan, Kevin Lam and Derek Li from the team to deliver the updates. So, buckle up! Here we take a look at the updates!!! SOAP!! Finally – The most requested and voted feature in UserVoice is now available in Azure Logic Apps. You can use the SOAP functionality over and above the already existing custom connector functionality. Azure Functions with Swagger – You can automatically render the Azure functions annotated with Swagger. You can have the properties exposed from your Azure Function showing up on the card to make the Azure Function look more richer with the information. Liquid Templates – This feature was released about a month ago. Liquid templates are used in Azure Logic Apps as an XSLT for JSON objects. You can create transformations on JSON objects (ex. JSON to JSON mapping and more other formats) without having to introduce a custom Azure Function. In addition, you can use Liquid templates to create a document/email template with replaceable parameters that you can use to create an output according to your requirement. Liquid templates are part of the Integration Account. Portal workflow settings page – New page where you can find all the workflow level settings in a single page and you make configuration changes from the single page. This avoids you to go to multiple places just to make specific configuration changes. New Object Expressions – propertySet, property Add, propertyRemove. These expressions help you to manipulate the object throughout the life of the Logic App. Configurable parallelism for for-each loops and polling triggers – A toggle button to configure the degree of parallelism in a range of 1–50. Batching – a new trigger has been added to support the size based release. Furthermore, you can configure all the batches (size based, time based and count based) centrally in the Integration Account. Derek Li showed a cool demo of how the configurable degree of parallelism works for for-each loops. You can watch the demo from 14:28 in the video. 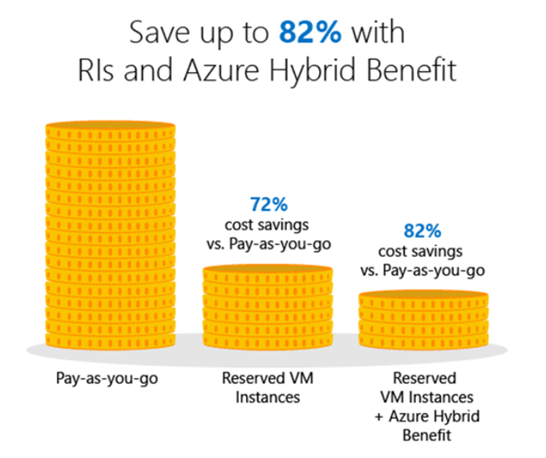 The cost of per action calls to Azure Logic Apps has been reduced and clear distinction has been made w.r.t Native calls ($800 per million actions to $25 per million actions)/Standard Connector calls ($800 per million actions to $25 per million actions)/Enterprise Connector calls. Configurable lifetime – Currently the lifetime is set to 90 days. In future, this can be customized anywhere between 7 days and 365 days. BizTalk Orchestration does not open with BizTalk Orchestration Designer! Instead it opens with the XML (Text) Editor! This behavior is happening to me a lot these last days. At first, I simply didn’t care because I know how to quickly workaround it, after a few times it just becomes annoying, after a few days and several orchestrations and different projects I got intrigued an entered in “Sherlock Holmes” mode. Well, I don’t know exactly what can cause this problem but I suspect that this behavior happens more often when we migrate projects, or when we try to open previous BizTalk Server versions projects in recent versions of Visual Studio, special if we skip one or more versions, for example: from BizTalk Server 2010 to 2013 R2. And may happen because of different configurations inside the structure of the “<BizTalk>.btproj” file. When the SubType element is present, this strange behavior of automatically open the orchestration with the XML (Text) Editor. On the “Open with …” window, select “BizTalk Orchestration Designer” option and click “OK”. This will force Visual Studio to actually open the orchestration with the Orchestration Design. But again, this will be a simple work around because next time you try to open the orchestration inside Visual Studio it will open again with the XML (Text) Editor. It will solve the problem, but you are wrong, actually, if you notice in the picture above it is already configured as the default viewer. Open the “<BizTalk>.btproj” (or project) file(s) that contain the orchestration(s) with this behavior with Notepad, Notepad++ or another text editor of your preference. If you then try to open the orchestration it will open with the BizTalk Orchestration Designer. In a previous blogpost I wrote about how you could use HIS2016 together with BizTalk 2013R2 in order to use the MQSC adapter with IBM WebSphere MQ9. These are the steps I followed to upgrade an already configured BizTalk 2013R2 with lots of MQSC SendPorts/ReceiveLocations where I didn’t want to remove all the current binding configuration (wich is what you need to do if you want to remove an adapter and follow the normal installation path…). Stop everything: host-instances, SQL jobs, SSO,..
Update the AssemblyVersion in InboundTypeName/OutboundTypeName columns to the newer version. This worked for a running setup at my current customer. I cannot give you any garantees this will work on your envirenment! Always test this kinds of upgrades before applying this in your production environment! Can’t figure out which SpringOne Platform sessions to attend? I’ll help you out. Next week is SpringOne Platform (S1P). This annual conference is where developers from around the world learn about about Spring, Cloud Foundry, and modern architecture. It’s got a great mix of tech talks, product demos, and transformational case studies. Hear from software engineers and leaders that work at companies like Pivotal, Boeing, Mastercard, Microsoft, Google, FedEx, HCSC, The Home Depot, Comcast, Accenture, and more. If you’re attending (and you are, RIGHT?!? ), how do you pick sessions from the ten tracks over three days? I helped build the program, and thought I’d point out the best talks for each type of audience member. Your future involves multiple clouds. It’s inevitable. Learn all about the tech and strategies to make it more successful. Pivotal Cloud Foundry, Google Machine Learning, and Spring (Tuesday 4:20pm). See how to use Google’s rad machine learning APIs from your apps. Power of Google Cloud Platform with Spring Cloud GCP (Wednesday 11:30am). See some brand new Spring/Google integrations live. Debugging Serverless for Cloud (Wednesday 3:20pm). This looks like an interesting talk from a pair of Microsoft folks. Avoiding that $1M AWS Bill (Wednesday 4:20pm). Case study from Pivotal Tracker team that explains how they moved from managed hosting, to AWS, and finally to GCP. Rapidly Develop, Deploy and Scale Java Cloud Apps Using Spring Boot (Thursday 10:30am). Microsoft’s program manager for Java-on-Azure talks about deploying across locations. Quickly Build Spring Boot Applications to Consume Public Cloud Services (Thursday 11:50am). See how to use AWS, Azure, and GCP services in your Spring Boot apps running in Cloud Foundry. The vast major of S1P attendees are developers who want to learn about the hottest technologies. Here are some highlights for them. Reactive Spring (Tuesday 11:30am). Spring Framework 5 is soaked in reactive programming support. Learn all about it. What’s New in Spring Boot 2.0 (Tuesday 11:30am). This is the same time as the previous, so you have TOUGH CHOICES. Important talk from those who built it. Kafka Streams – From the Ground Up to the Cloud (Tuesday 3:20pm). See Kafka in action with someone who really knows it. Spring Cloud Gateway (Tuesday 4:20pm). This is an exciting new project that’s important for microservices devs. Serverless Spring (Wednesday 4:20pm). Java has an important role in a serverless world, and hear from a real expert on the topic. Why Spring Kotlin (Thursday 10:30am). Kotlin is super hot. Learn how Spring makes it better. I’m blown away by the number of real case studies at this show. If you’re trying to create a lasting change at your company, these are the talks that prep you for success. Discover’s Journey to Cloud Native (Tuesday 11:30am). Hear about creating a lasting strategy to change methods and technology. Cloud-Native Journey in Synchrony Financial (Tuesday 12:10pm). This looks like a good enterprise story about a thoughtful path from vision to implementation. Crossing the CI/CD Chasm (Tuesday 12:10pm). If a hundred year-old insurance can transform, why can’t you? Liberty Mutual has some lessons to share about CI/CD practices. Zero to 12 Million (Tuesday 2:00pm). A sense of urgency often leads to results. Hear how T-Mobile accelerated their change. Bringing New Technology to Legacy Land (Tuesday 2:40pm). If West Corp systems goes offline, you’ll notice. This looks like a helpful story about improvement. How to Navigate a Sea of “No” (Tuesday 3:20pm). Creating a lasting transformation requires more than one champion. If you’re trying to build out your sponsor pool, this looks like a helpful talk by the Great American Insurance Group. Tech Modernization: A Cloud Migration (Tuesday 5:00pm). What did Schwab learn about building scalable systems? Find out here. Scaling from Startup Mode to Enterprise Mode – Accelerating FedEx’s Cloud-Native Transformation (Wednesday 12:10pm). How do you scale a transformation? Looks like some good lessons learned. How Comcast Embraced Open (Wednesday 5:40pm). Do you need to convince your org that open-source makes sense? Learn how Comcast built their practice and strategy. Automation doesn’t spell the end of Ops. But it does change the nature of it. These are talks that forward-thinking operations folks want to attend to learn how to build and manage future tech. Cloud Foundry Networking: Enabling Direct Communication for Microservices (Tuesday 2:40pm). I don’t know many devs who love dealing with networks, but a well-designed network is an enabler. Learn about policy-based network automation here. Take DevOps to 11 and Sprinkle Cloud on it with Rainbows and Unicorns (Tuesday 2:00pm). Matt Curry leads an inspiring team at Allstate. Hear all about mature operations in a DevOps environment. Enterprise CI/CD – Scaling the Build Pipeline at Home Depot (Tuesday 3:20pm). Delivery pipelines at scale? It’s a huge enabler. See how The Home Depot did it. 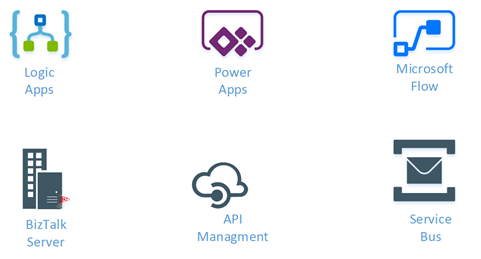 Five Cloud Native Ops Superpowers: Yes, You Can Do That! (Tuesday 5:40pm). I’m not recommending this (just) because I’ll make a guest appearance. I’m recommending it because Dave Bartoletti of Forrester has some captivating insight into modern ops. CredHub and Secure Credential Management (Wednesday 12:10pm). More apps means more connections and more credentials. How do you deal with it all? Find out here. PCF Platform Monitoring with Prometheus and Grafana (Wednesday 12:10pm). Find out how Northern Trust figured out a modern way to manage Pivotal Cloud Foundry. Ensuring Platform Security with Windows Bosh Add-ons and Runtime-Config at Boeing (Wednesday 2:00pm). The team at Boeing has some strict security and deployment guidelines. They share their best practices here. What a fun time to be an architect! We’re expected to deliver software with exceptional availability and scale. That requires a new set of patterns. You’ll learn them in these talks. The Beginner’s Guide to Spring Cloud (Tuesday 11:30am). Thorough walkthrough of all the Spring Cloud projects, and how these improve your app resilience and performance. State or Events? Which Shall I Keep? (Tuesday 2:00pm) This should be an exceptional talk about event-driven architecture. Leveraging Netflix Eureka and Hystrix from .NET (Tuesday 2:00pm). I’m pumped about the movement to bring cloud-native patterns to .NET. Hear all about it from Beth (Microsoft) and Zach (Pivotal). Reactive DDD: Modeling Uncertainty (Tuesday 4:20pm). Learn about implementing domain-driven design from someone who wrote the book on it. Cloud Event Driven Architectures with Spring Cloud Stream 2.0 (Wednesday 11:30am). I’m looking forward to this extensive talk on implementing event-driven architecture. Ford Motor Company’s Cloud Native Reference Application (Wednesday 5:00pm). To scale best practices, you often need a canonical example that everyone can relate to. That’s what the Ford team built. Refactoring to a System of Systems (Thursday 11:50am). Oliver is a smart fella, and isn’t afraid to call out the bad and good of microservices and distributed systems. This should be great. How we collect, process, store, and retrieve data is changing. It has to. There’s more data, in more formats, with demands for faster access. These talks get you up to speed on modern data approaches. Not Only Reactive – Data Access with Spring Data (Tuesday 2:00pm). What does it mean to have reactive data access, and which stores support it? You can find out here. Delivering the Power of Data Using Spring Cloud Data Flow and DataStax Enterprise Cassandra NoSQL Database (Wednesday 2:40pm). This looks like a practical take on modern data movement and processing. Cloud-Native Data: What is it? Will it Solve the Data-DevOps Divide? (Wednesday 3:20pm) This may be one of the most important discussions of the conference. Great panel, crucial topic. Orchestrating Data Microservices with Spring Cloud Data Flow (Thursday 10:30am). It’s time to rethink data integration, and this talk shows you a relevant approach. RDBMS and Apache Geode Data Movement: Low Latency ETL Pipeline By Using Cloud-Native Event Driven Microservices (Thursday 11:50am). The folks at HCSC are doing some important work with modern integration pipelines. I’m looking forward to this talk. Any engineering lead, manager, or executive is going to spend considerable time optimizing the team, not building software. But that doesn’t mean you shouldn’t be up-to-date on what your team is working with. These talks will make you sound hip at the water cooler after the conference. From Zero to Hero with Spring Boot (Tuesday 2:00pm). Get a full walkthrough of one of the most critical technologies for Java developers. Concourse in the Real World: A Case Study in CI/CD and DevOps (Tuesday 2:40pm). Shrinking your cost of deployment may the most important thing you can do as a leader. Hear from health tech company Cerner about how they do CI/CD with Concourse. Kubernetes for the Spring Developer (Wednesday 3:20pm). Your devs won’t shut up about Kubernetes! What’s the story? Meaghan from Google gives you the lowdown. The Modern Family – Modernizing Applications to Pivotal Cloud Foundry – Getting Out of the Big Ball Of Mud (Wednesday 4:20pm). How do craft a broad modernization strategy that strangles your monoliths? Hear from experts. Deconstructing Monoliths with Domain Driven Design (Thursday 10:30am). Liberty Mutual worked with Pivotal on a very successful transformation. Learn their techniques and bring them back home. Fortunately all these sessions will be recorded and posted online. But nothing beats the in-person experience. If you haven’t bought a ticket, it’s not too late! Microsoft earlier today released BizTalk Server 2016 Feature Pack 2 for Microsoft BizTalk Server. This release comes 7 months after Microsoft announced the Feature Pack 1 for Microsoft BizTalk Server 2016. The BizTalk Server 2016 Feature Pack 2 (FP2) contains all functionalities of Feature Pack 1 and all the fixes in the Cumulative Update 3. This FP2 can be installed on BizTalk Server 2016 Enterprise and Developer Edition. You can download the latest version from here. With BizTalk Server 2016 Feature Pack 1, Microsoft introduced the capability where users can perform continuous build and deployment seamlessly. Check out the detailed blog article that covers the ALM Continuous Deployment Support with VSTS via Visual Studio capability in detail. In BizTalk Server 2016 Feature Pack 2, Microsoft has added improvements where users can use deployment groups to deploy BizTalk applications to multiple servers. This comes in addition to using the agent-based deployment. In BizTalk Server 2016 Feature Pack 2, once you have installed and configured BizTalk server, you can configure the Backup BizTalk Server job to backup your BizTalk databases and log files into Azure Blob storage account. With BizTalk Server 2016 Feature Pack 2, you can send and receive messages between Azure Event Hubs and BizTalk Server. You can use the Service Bus adapter to send and receive messages from Service Bus queues, topics and relays. With this adapter, it becomes easy to connect the on-premise BizTalk server to Azure. In BizTalk Server 2016 Feature Pack 2, you can send messages to partitioned queues and topics. Additionally, FP2 supports Service Bus Premium capabilities for enterprise scale workloads. With the BizTalk Server 2016 Feature Pack 2 release, you can expose a WCF-BasicHTTP receive location as an endpoint (SOAP based) from the BizTalk Server Admin console. This enhancement comes in addition to the API Management integrations made in Feature Pack 1 where you can expose an endpoint through API Management from BizTalk. In BizTalk Server 2016 Feature Pack 1, Microsoft introduced the capability for users to be able to send tracking data to Application Insights. The Feature Pack 2 supports additional capabilities such as support for SQL default instances and SQL named instances. In addition, users can also send tracking data to Azure Event Hubs. Within Application Insights, under the Metrics section, select Custom to view the available tracked properties. The BizTalk Server 2016 Feature Pack 2 can be installed on BizTalk Server 2016 Enterprise and Developer Edition (retail, CU1, CU2, CU3, FP). You can download the latest version from here. It is really exciting to see the Feature Pack updates being released by the Pro Integration team. This really shows their commitment to Microsoft BizTalk Server and their vision to integrate on-premise solutions with the cloud. Hope this would be helpful. Please feel free to let me know your feedback on the Integration weekly series. Does BizTalk 2013R2 support IBM WebSphere MQ 9? My current customer has an integration landscape with a lot of IBM WebSphere MQ. After an upgrade to IBM WebSphere MQ 9 of a certain queue manager, we were no longer able to receive messages from a queue that was working perfectly before the upgrade. Sending was still working as before. At that moment in time we were running BizTalk 2013R2 CU7 with Host Integration Server (HIS) 2013 CU4 and using the IBM MQ Client 7.5.0.8. When you take a look at the System Requirements of HIS 2016 you see that it supports MQ 8. No mention of MQ 9, I know… But it also supports BizTalk Server 2013R2! At this point we really needed a solution, so we took it for a spin! At the end we reached our goal and were able to send and receive messages from an IBM WebSphere MQ 9 queue with BizTalk Server 2013R2. Some people may ask why I didn’t use the Microsoft MQ Client. Well, I didn’t work straight away and we agreed to not further research this as we already started our migration project to BizTalk Server 2016. We must make sure that we are taking the customers in the right direction when they raise an issue and must give them confidence about the product as well as service. As already known, BizTalk360 is the one stop monitoring tool for BizTalk server. BizTalk360 not only contains the monitoring options for BizTalk server, in turn contains other in-built tools as well such as BAM, BRE etc. Whenever an issue is reported by the customer, we start our investigation from the basic troubleshooting steps. Hope it would be interesting to know what are the basic troubleshooting that we do. Yes, it would be. In this blog, I will share the information about the basic troubleshooting tools that we have in BizTalk360 that help us in resolving the customer issues. The first step in using BizTalk360 is the installation and configuration. The installation, as well as the upgrade process, is seamless with simple steps and some of the permission checks are done in the installer. But there may be some cases where the installer may fail with the below error. There is no much information about the error on the screen. So how do we check this error? Here comes the Installer logs for our help. Generally, when we install BizTalk360, we just give the name of the MSI in the admin command prompt and run it. But to enable installer logs we need to run the installer with the below command with the BizTalk360 version number. MSI (s) (E0:D4) [13:57:50:776]: PROPERTY CHANGE: Modifying CONNECTION_ERROR property. Its current value is ‘dummy’. Its new value: ‘Cannot open database “BizTalk360” requested by the login. The login failed. Login failed for user ‘CORPsvcbiztalk360′.’. The error clearly states that it is a permission issue. When BizTalk360 is installed, the BizTalk360 database gets created in the SQL server. BizTalk360 may be installed on the same machine where BizTalk server resides, or in a standalone machine and the SQL database may be on a separate server. As a prerequisite for BizTalk360, we recommend providing the SYSADMIN permission for the service account on the SQL server. Giving this permission to the service account resolves the above error. Hence, any installation related error information can be identified from the installer logs and can be resolved. This is an interesting tool which is integrated within BizTalk360 and available as a separate window-based tool. contains an extensive set of rules to verify all the prerequisite conditions in order to successfully run BizTalk360. As you can see in the below picture, the user just enters the password for IIS application pool identity and monitoring service account and clicks the “Troubleshoot BizTalk360” button. The rules will be verified and results will be indicated in the form of RED/GREEN/ORANGE. This way, we can check the missing permissions for the BizTalk360 service account and provide the same. If the customer faces any issue during the initial launch of the application, then they can run the troubleshooter and check for the permissions. Once the errors are resolved and everything is green, they can start BizTalk360 and it should work. Hence all the information regarding the service account permissions, BizTalk360 configuration and database can be obtained with the help of troubleshooter. The integrated troubleshooter can be accessed from BizTalk360 itself as seen below. The details of the exceptions that occur in BizTalk360 are captured in the log files that are generated in the BizTalk360 folder. The logs files not only contain the information of the exceptions, but they also contain the information about the alarm processing and the subservices statuses. There are different logs for each of them which are described below. Monitoring is one of the most important tasks performed in BizTalk360. There are new features getting added in every release of BizTalk360. The monitoring capability is also extended to File Locations, Host Throttling monitoring, BizTalk server high availability and much more. The BizTalk360 monitoring service is installed along with the BizTalk360 web application. Once the artefacts are configured for monitoring, the service runs every 60 seconds and triggers alert emails according to the conditions configured. What happens if there occurs some exception during the monitoring and alerts are not triggered? Where can we find the information about these exceptions and take necessary actions? Here come the service logs that are located in BizTalk360 installation folder/Service/Log folder. There are about 25 different logs that get generated for each monitoring configuration separately and get updated whenever the monitoring service runs. Say for example, if the alerts are created, but not transmitted due to an exception, this information will be logged in the BizTalk360.SendMail.log file. So, when the customer raises an issue regarding the transmission of alerts, the support team starts the investigation from the logs. We ask the customers to share the logs from their environment and we check them. Let’s look at a customer scenario. But they are getting Actual count = -1 even when there are messages processed via this port. They wanted to know the reason why the actual count was -1. In BizTalk360, the negative value denotes that there has been some exception occurring. And, the exception would be logged in to the service logs. Hence, we asked them to share the logs. The timeout exception generally happens when there is a huge volume of data in the BizTalkDTADb database since for Process Monitoring, we retrieve the results from this database and display it in BizTalk360. The database size was checked at their end and found to be 15 GB which was greater than the expected size of 10 GB. For more information on the database size, you can refer here. Similarly, we have different log files generated from which we can get the information about the different sub services running for BizTalk360 Monitor and BizTalk360 Analytics services. We can also check if all the subservices are started properly. The log information is captured along with the timestamp and this would make much easier for the support team to identify the cause and resolve the issues in time, thereby making the customer happy. In case of monitoring logs, the Alarm name and configurations are also captured. There are separate logs for Process Monitoring and other Data Monitoring alarms. We have separate logs for FTP and SFTP monitoring too for capturing the exceptions if any. Analytics is yet another important feature in BizTalk360 with help of which you can visualize a lot of interesting facts about your BizTalk environment like number of messages processed, failure rate at message type level, BizTalk server CPU/Memory performances, BizTalk process (host instances, SSO, rules engine, EDI etc) CPU/memory utilization and lots more. BizTalk360 Analytics service also contains different sub services run and any exception occurring for these services will be captured in the logs under C:Program Files (x86)Kovai LtdBizTalk360AnalyticsLog folder. BizTalk360 Analytics is used to gather the information about the performance counters in the server and display them in the form of widgets. Also, BizTalk360 will display the information if the system is under throttling condition in a graphical format. There was a case from the customer that the Throttling Analyser was not displaying any formation when the system was under throttling condition. We then checked the logs and found the below error in the BizTalk360.Throttling.log. From the logs, we could understand that the performance counters were corrupted and rebuilding the counters resolved the issue. At times, there are scenarios where a page in BizTalk360 may take some time to get loaded leading to performance issues. The time taken to load the page can be captured in the svc logs present in C:Program Files (x86)Kovai LtdBizTalk360Web folder. Once a customer reported that there was performance latency in some of the BizTalk360 pages. We checked these trace logs and found that the service calls GetUserAccessPolicy & GetProfileInfo methods were taking more than 30 seconds to get resolved. GetUserAccessPolicy–>Groups/user assigned to provide access to the features of BizTalk360. GetUserProfile –> Fetch the UserProfile of the group/user been configured. These methods were then optimized for caching in the next BizTalk360 version release and hence the performance issue was resolved. As mentioned before, we have different subservices running for BizTalk360 Monitor and Analytics services. In case, if there is any problem in receiving alerts or if the service is not running, the first step would be to check for the status of the monitoring subservices for any exceptions. This can be found in BizTalk360 Settings -> BizTalk360 Health -> Monitoring Service Status. The complete information will also be captured in the logs. Similarly, we have the check for the Analytics sub services under Settings -> Analytics Health. What if the customer has configured BizTalk360 under High Availability(HA)? High Availability is the scenario where BizTalk360 is installed on more than one servers pointing to the same database. The BizTalk360 Monitor and Analytics services can also be configured for HA. So, when there is an issue reported with these services, the logs from the active server must be investigated. The active server can be identified from BizTalk360 Settings -> BizTalk360 Health -> High Availability Status. These basic troubleshooting tools available in BizTalk360 make our support a little easier in resolving the customer issues. The first step analysis can be done with these tools which help us identify the root cause of the problem. We have our latest release BizTalk360 v8.6 coming up in a few weeks with more exciting features. In case of further queries, you can write to us at support@biztalk360.com.